This collaboration originally launched a few years ago, but the pieces are timeless Harry Potter items. The collaboration between our favorite magical franchise and this jewelry company features bracelets, earrings, rings and necklaces donning iconic Harry Potter symbols. You can shop the entire collection on Alex and Ani’s website or on Amazon. Before you let your predispositions get the best of you, take a look at this truly beautiful collection. 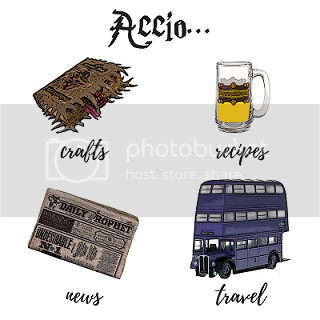 This collection of home décor includes overtly Harry Potter themed items such as lap desks in the color of your House and also items that are a subtle nod to the world of Hogwarts. I’ve got my eye on the iridescent quilt; owl cage jewelry organizer and the magic velvet quilt set. There’s nothing like a good board game, especially when it’s Harry Potter themed. For far too long it feels like Harry Potter trivia games were limited to what our imagination could create, after all there are so many intricacies to remember it was hard to ensure we remembered them all. The nearly 40 year-old board game has taken the liberty of doing the hard work for us. Harry Potter Trivial Pursuit combines the characters, plot and seemingly random bits of magical information with the traditional game format for the ultimate Harry Potter trivia game. One of the easiest ways to dress up a monotone or simple outfit is with accessories. That being said, is there a better way to dress up an outfit than with a Harry Potter themed bag? Danielle Nicole xhas released a variety of small bags and clutches themed after the Potter franchise. I’m keeping a close watch on the Bolt Backpack – what piece speaks to you? The haven for at home chefs has released a line of Harry Potter inspired kitchen accessories. From kitchen spoons to aprons, there is something for every magical chef to bring the magic of Hogwarts to their own home. For a limited time, everything in the collection is 20% – hurry to their website to take advantage of this deal! Where are the necklaces in the picture from?